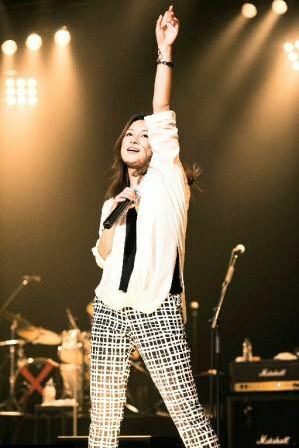 It's been reported that Do As Infinity's vocalist Van Tomiko (33) has gotten married in mid-September. This surprise announcement was made during the encore of the unit's live concert at Shibuya AX on September 29th. According to sources, Van's husband is a non-celebrity man who is 4 years her junior. He's described as an "ikemen with a fresh and neat impression". The two immediately started dating after meeting last summer. They submitted their marriage papers at the ward office in mid-September. During the concert, Van stated, "I wanted to make my marriage announcement first to my fans who have always supported me." She also commented, "He's a kind and faithful person who supports me with a broad mind. While understanding and helping each other, I want to spend my life with him. It would make me happy if you would watch over us warmly." This day marked Do As Infinity's "13th birthday". They performed a total of 23 songs including tracks off of their upcoming 10th album, "Do As Infinity X" (October 10th release).